Manchester United got their Champions League season off to a flier last night after picking up a crucial three points away at BSC Young Boys in Switzerland. The English giants got the three points by scoring three goals and conceding none, staking their claim in a tough group that also features Juventus and Valencia. Paul Pogba scored two goals, and Anthony Martial added one of his own, but after the match, fans were excited because of the performance of another player – one that didn’t score but definitely surprised plenty by his display. 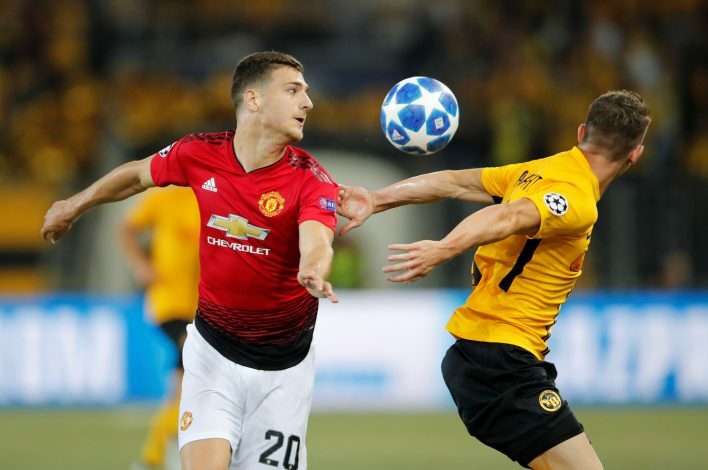 Diogo Dalot made his debut with a stunning performance at right-back in the absence of Antonio Valencia, and looked surprisingly comfortable in the position, even showcasing some of his tricks and flicks in the process and leaving United fans wanting for more. After the game, Dalot was praised highly by his manager Jose Mourinho, who even went on to claim that the youngster can play at Old Trafford for the next ‘ten years’. Dalot not only earned plaudits from his boss, but also impressed Manchester United legends Rio Ferdinand, Owen Hargreaves, and Paul Scholes, all of whom were watching on from the BT Sport studio as the visitors raced into a 2-0 half-time lead and killed the game off before full-time. “He will have tougher tests, but as a young kid to come in, especially after an injury, is really promising,” Rio Ferdinand said after the game. With just one performance, it’s safe to say that the teenager has won plenty of hearts.